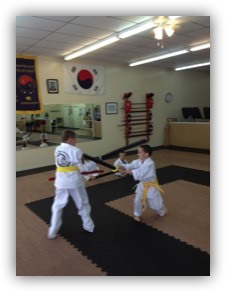 At South Hills Karate Academy, your child will develop essential skills including Discipline, Confidence, Focus, Respect, and Listening Skills. Your child will learn “How To Be A Winner!" Our well-rounded traditional karate program for children can positively impact kids by enhancing their life-skills and placing emphasis on their values and attitudes. 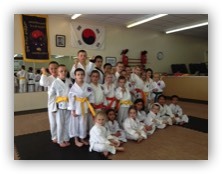 Our karate program for children employs techniques that build strength, endurance, flexibility, posture, balance and coordination. 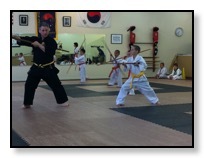 In addition there are many "non-physical" benefits to traditional karate practice. Our program is an excellent confidence booster for children as it eliminates the need for them to compete or compare themselves to their peers. Instead, our program encourages kids to draw on their own strengths and strive for their personal best. Children who are focused have an easier time setting and achieving goals because they’re not intimidated by the hard work. Our program helps kids improve their focus. 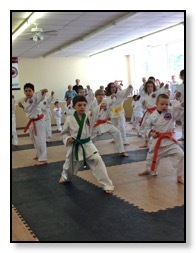 In addition, the practice of karate can also improve the concentration of kids who suffer from attention disorders. Our structured approach helps to build your child's self esteem one step at a time so your child can feel more valuable and increasing their confidence. 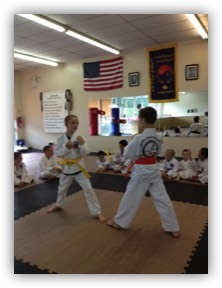 Additionally, because your child is learning self defense, they can build the skills needed to protect themselves. 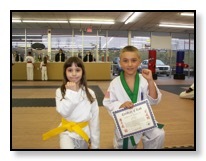 Traditional karate practice utilizes techniques that will improve your child's strength, flexibility and coordination. These improvements are easily transferable to other competitive sports such as soccer, baseball, football and other sporting activities. Although we may never want to think about it as parents, but there may be a time when your child has to defend themselves against someone trying to do them harm. 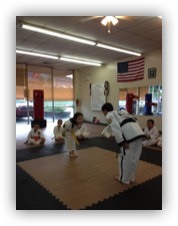 Traditional karate can give children the skills needed to surprise a potential attacker or help to defend themselves against the neighborhood bully.